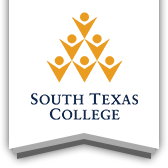 Check out all of our Transfer Opportunities to learn more about the colleges and universities that South Texas College students may transfer to. This page includes the contact information for our partners. Interested in how your courses might transfer? The Texas Common Course Number System website allows you to compare South Texas College course numbers to those at other institutions in the state of Texas. Interested in transferring to UTRGV? Lacy Culpepper will be available to answer your questions in the G Building Atrium from 10 AM to 2 PM For more information, please call (956) 665-2479. Interested in transferring to UTRGV? Lacy Culpepper will be available to answer your questions in the H Building Lobby from 10 AM to 2 PM For more information, please call (956) 665-2479. * Hours subject to change based on special events and holiday schedule. Decide on your major based on research and your interest. If you'd like help choosing a major that matches your interests, try Career Coach. Meet with an academic advisor or a representative at the Transfer Center about your transfer plans. Research Articulation agreements and transfer course equivalencies at the Transfer Opportunities page. If you have already chosen where you would like to transfer, see if they have a transfer guide and use it to make your course selections. Meet with recruiters and ask questions. By the end of your first year, try to narrow your school list. Take classes to get ahead; this also helps to ease the load for the remaining semesters. Retake any classes that don't meet the expectations of your desired transfer institutions. Create a list of all courses you will take in the upcoming semesters, making sure you meet the minimum credit hours. Connect with transfer admissions counselors at the schools on your list. If you cannot find the information, meet with representatives at the Transfer Center to get assistance. Decide what your bachelor’s degree will be and where you will be transferring. Meet with an academic advisor, the Transfer Center, or a transfer admissions counselor at your desired transfer institution to make sure that you are meeting the recommended requirements before transferring. Keep in mind deadlines to transfer and deadlines for financial aid, as they will vary from institution to institution. Complete college applications; many schools use the ApplyTexas application.